With Greece set to default on its IMF debt today, the following update sets out what we may expect over the coming days. Greece and its creditors have failed to agree terms to allow the release of the last tranche of financial assistance under a second bailout package that expires today. Greece is to hold a referendum on 5th July, allowing Greeks to vote on whether to accept or reject the creditors’ proposals. 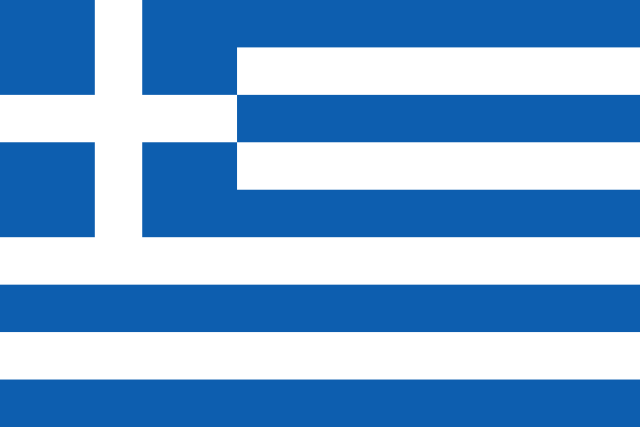 Creditors have rejected Greece’s request for an extension to the 30th June deadline to allow the referendum to take place. The European Central Bank has announced it is not increasing emergency lending assistance (ELA) to Greece (to offset banks’ shrinking deposit base). Greece has imposed capital controls: its banks will stay shut all week (as will the Greek stock market) and cash withdrawals are limited to €60 a day. European equities dropped 6/7% on opening, and rallied back to be 3-4% down on the day. The UK was down 2%, while the US was -1%. Peripheral European 10-year government bond yields rose by 10-20 basis points. Germany, US and UK 10-year bond yields dropped by 10-15 basis points. ‘Greek people are hereby asked to decide whether they accept a draft agreement document submitted by the European Commission, the European Central Bank and the International Monetary Fund, at the Eurogroup meeting held on June 25’. Those citizens who reject the institutions’ proposal will vote, ‘Not Approved / NO’, while those who accept the institutions’ proposal will vote, ‘Approved / YES’. The Syriza party and Prime Minister Tsipras will campaign for a No vote and will try and sell it to the Greek population as a vote against austerity and humiliation. The Europeans will try and ensure that a No vote will lead to an exit from the euro area and the re-introduction of a Greek currency. At present, polls indicate support for a Yes vote: 57% of respondents in one recent poll said they would vote Yes; in another 47% stated they would vote Yes, and 33% said No. It is clear that the risk of a Greek exit is now a high possibility. A Yes vote would most likely result in the resignation of Tsipras and the end for Syriza. Possibilities include new elections or the installing of a technocrat government. Either way, Greece would be committed to signing up swiftly to similar terms to those on the table (there would have to be a new agreement as the existing one has, effectively, gone). Greece may or may not receive further financial assistance – it will almost certainly need it. But this path is essentially one where Greece signs up to the demands of the rest of the euro zone and becomes much more compliant. A No vote opens the way for the country to exit the euro. It is impossible to predict the exact course of events, but the ECB may withdraw ELA, effectively bankrupting Greek banks overnight. Equally, the ECB is reluctant to take such an overtly political decision, which would amount to ejecting Greece from the euro. Exit negotiations could take many months. Meanwhile, Greece would have to introduce a parallel currency which would, presumably, depreciate rapidly against the euro and result in significant inflation. A major recession/ depression (GDP possibly falling by a further 20%) would be likely. The major worry about a Greek exit relates to contagion to other vulnerable euro zone nations. The notion that the euro is ‘irreversible’ would go forever. It is for this reason, rather than for Greece itself, that the ECB, the European Commission and other euro zone members have hitherto been so determined to prevent a country leaving. During the euro zone sovereign debt crisis in 2011/12 government bond yields in Spain, Portugal and Italy rose sharply, provoking the ECB into action. They have been calmer of late, but yields and risk premia have risen recently and the concern is that they might jump further. If not now, then when or if a country experiences an economic downturn or elects a nationalist government. The Greece situation will evolve fast and some form of default now looks inevitable, although it may well not be described as such, at least initially, even if Greece does eventually stay in the euro zone. We will continue to monitor events and we will update you further as this unfolds. As ever, please feel free to contact us should you wish to discuss your own portfolio.